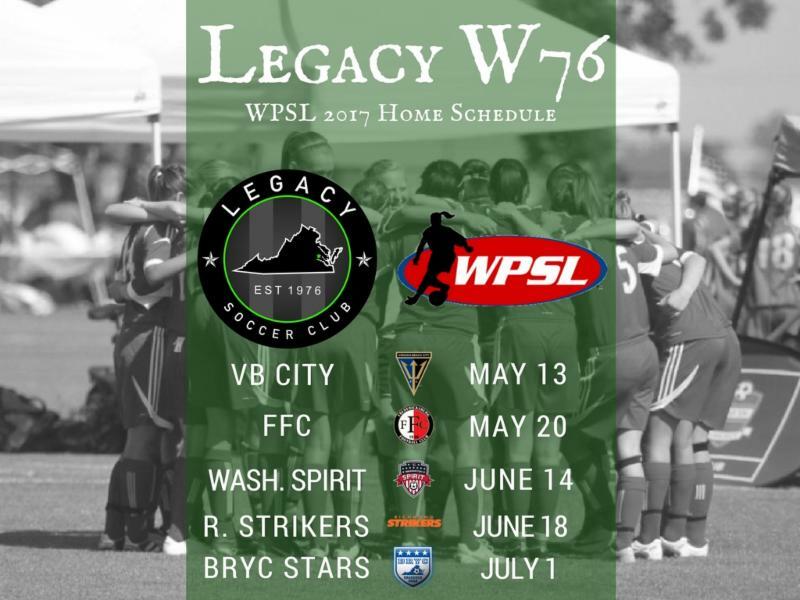 Legacy 76 PRO Teams Ramping Up! It is shaping up to be a fantastic summer with two high level Legacy 76 Pro teams in action and we hope you will be there to support both groups as they take the field. GET YOUR SEASON TICKETS TODAY - CLICK HERE! 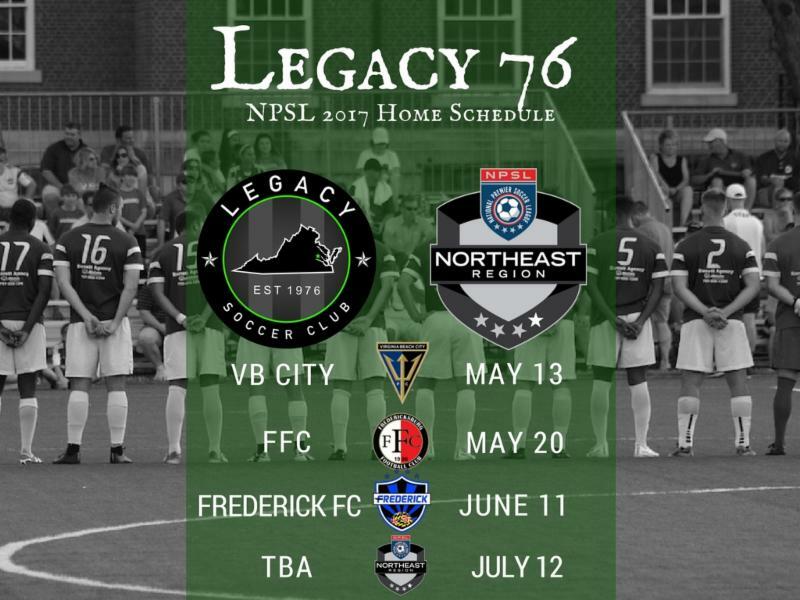 Legacy 76 will be looking to improve on last years impressive run to the Regional Semi-Final Rd (National Sweet 16) and will begin its season in the historic US Open Cup on May 10th in North Carolina. The NPSL Mid-Atlantic conference kicks off just a few days later and will play a total of eight total games, including six group stage regular season games and two playoff games. The first six games will include one home and one away game for all teams. Game 7 will be determined by seeding (#1 vs #4 and #2 vs #3). Game 8 will feature the two winners from Game 7 and the two losers from Game 7.